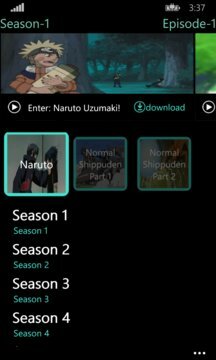 This app contain more than 550+ episodes of Naruto and Naruto Shippuden TV series. It also contain Movies and OVAs from both the series. 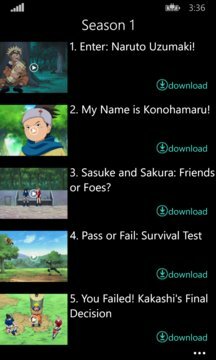 Download the app to watch complete Naruto and Naruto Shippuden seasons for free! 1. Downloads Episode and Movies over wifi or cellular network. 2. Awesome UI for easy navigation. 3. Connect with us on facebook. Note: Currently all episodes are in English language only. Naruto is a Japanese anime TV series that tells the story of Naruto Uzumaki, an adolescent ninja who constantly searches for recognition and dreams to become the Hokage, the ninja in his village who is acknowledged as the leader and the strongest of all. Please rate 5 stars if you like the app ! !